This is great. I try to do this on the weekends. I know I never get a full day so I try to break it up with other stuff and I don’t aim for 100% productivity because that’s impossible. So when I aim for it I just feel depressed and push harder which makes it worse. I do love those days where I feel like I’ve got a groove and I’m not just pulling teeth for hours on end. I think this might be why half days are sort of the best for me to really dedicate to focus on the writing outside of weekends. Yes, I could see that. 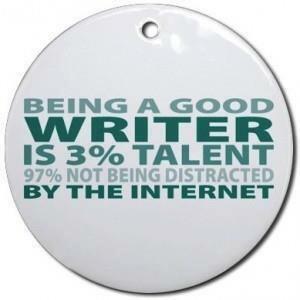 Easier to maintain focus, too, I think. I write whenever I can, but currently my weekends are when I have the most time to do so. This takes effort to get things taken care of beforehand, but it’s worth it. I’ll devote 8 to 10 hours or more to writing each day if I can. Listening to music helps me stay in the mood and focused. I’ll match what l’m listening to with what I’m writing. Having a routine and schedule is really helpful. Writing can be like any other job, you need to stick with it and keep going every day. We always need to find what works for ourselves. I can’t write at home, nor in a hotel room. I like someplace with space where I can zone out. I love the zone but it’s treacherous because it’s seductive and addictive. Still, I never wanna give it up. I found that the best use for a timer is to tell me: it’s been an hour, what have you done? Yes, this definitely resonates with me!!! Sigh, I shall overcome though!